Three states held votes earlier this month about legalization of the recreational use of marijuana. In two of the three, Washington and Colorado, the measures were approved. Oregon voters defeated the initiative in their state. What does this mean for employers doing business in states where recreational marijuana use is now legal? It’s a little too early to tell, it seems, although it appears that at least in Washington, employers can continue to enforce their drug use and drug testing polices as before, at least for the time being. Our Washington partner in the Employment Law Alliance, Miller Nash, has posted a helpful analysis for employers who have employees working in Washington. The present conclusion for Washington employers appears to be that there is no need to change policies or enforcement practices based on the new law. Marijuana is still illegal under federal law, and it remains to be seen how the interplay between the state and federal law will work out in Washington. Federal DOT regulations prohibiting driver use of marijuana have not been altered. The situation for employers in Colorado is less clear. Although the state has permitted medical marijuana use since 2000, that law does not allow employees to use at work. A closer and more contentious question under the Colorado medical marijuana law has been whether employers may prohibit employees who use marijuana off-duty for medical purposes from being under its influence at work. Amendment 64, the newly passed Colorado law permitting recreational use, does not provide guidance on that issue but does have provisions that address employers' rights. 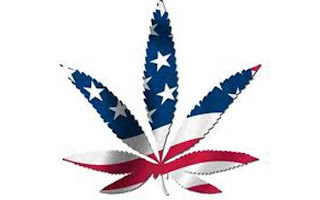 These allow employers to: i) prohibit, and decline to accommodate, use at work; and ii) prohibit and regulate the "possession, consumption, use, display, transfer, distribution, sale, transportation, or growing of marijuana" on their property. Our Employment Law Alliance friends at Holland and Hart in Colorado have explained this in greater detail. Those with Colorado employees may be at higher risk with respect to workplace enforcement in the context of employees’ claimed recreational use. It seems doubtful, however, that the courts will ultimately protect an employee against enforcement of employer policies based on legitimate concerns about safety or performance. In Oregon, where the legalization measure failed, and in most of the rest of the country, employers can continue business as usual with respect to drug use, testing and enforcement in the workplace. That appears to remain a relatively safe bet for employers with employees in Washington, too. Colorado may require a more cautious approach.